Alferd Packer took to cannibalism in 1874 - was he also a killer? companions between Lake City and the top of 11,361-foot Slumgullion Pass. LAKE CITY - This month, 135 years ago, began the six-week ordeal in which starving and disoriented Alferd E. Packer stopped eating wild rose petals. Instead, trapped in the deep snows of the San Juans, he began gnawing on the corpses of his deceased comrades. And thus began one of Colorado's most grisly and enduring legends and murder mysteries, assuring Packer of a unique place in state history and the annals of the Old West. 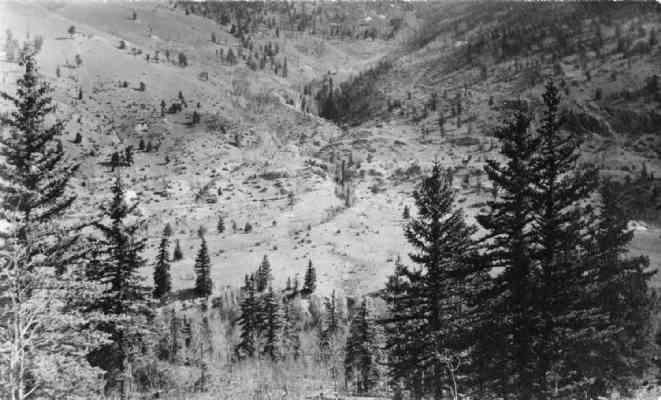 He had been part of a larger band of 20 gold-seekers who had left Utah and split up into two groups. On Feb. 9, 1874, Al Packer and five other prospectors departed Chief Ouray's winter camp near Montrose. Instead of listening to the venerable chief and accepting his gracious offer to say in the Ute camp, the would-be miners foolishly headed into deep snow. Al Packer later stated, "Our matches had all been used, and we were carrying our fire in an old coffee pot. Three or four days after our provisions were all consumed, we took our moccasins, which were made of raw hide, and cooked them. ... Our trail was entirely drifted over. In places, the snow had blown away from patches of wild rose bushes, and we were gathering the buds from these bushes, stewing them and eating them." Packer left Utah with few provisions and no weapons. Nine weeks later, on April 16 at the Los Pinos Indian Agency south of present-day Gunnison, he arrived with a Winchester rifle, a skinning knife and a coffee pot containing live coals. He had wrapped his frostbitten feet in blanket strips and, though haggard and worn, he was otherwise fit. Packer drifted over to Dolan's saloon in Saguache, playing high-stakes poker and buying a $70 horse. Another member of the original gold-seekers arrived and questioned where Packer had gotten his spending money, as he left Utah destitute. Other miners urged Indian Agent Charles Adams to interrogate Al Packer, who finally gave his first of three "confessions," signed and dated May 8, 1874. Packer reluctantly admitted that the small band had starved in the San Juans. Israel Swan, the oldest member of the group, had died from hunger and exposure and they had eaten him. Jailed in Saguache, Packer escaped, changed his identity, and was arrested in Wyoming before being returned to Hinsdale County for trial. In the intervening years, Lake City had prospered and the two-story, wood-frame courthouse in which Packer was tried still stands. I've been in the second- floor courtroom where the jury deliberated. I've seen the actual court records on display, with their ink fading from too much sunlight. The area northeast of Lake City where Packer's party became lost is listed on maps as Cannibal Plateau. 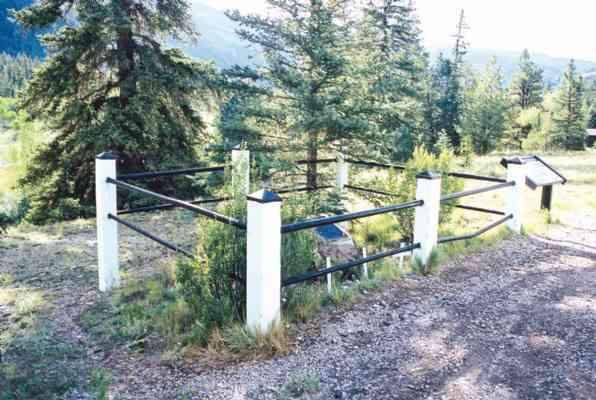 The site where the bodies were found five miles beyond town is known as Deadman's Gulch. The March 1883 Saguache Chronicle headline read, "Cannibal Packer - After Nine Years a Fugitive From Justice, the Capture is Effected of the Human Ghoul who Murdered and Grew Corpulant (sic) on the Flesh of his Comrades." After being recaptured, in a second confession Packer stated that while he attempted to find the Los Pinos Agency, Shannon Bell killed James Humphrey, George Noon and Frank Miller as they slept around the campfire. Packer stated had been out searching for food, and when he returned to camp a raging Shannon Bell accosted him with a hatchet. Packer fired twice with a pistol, shooting Bell in self-defense. He explained that after killing Bell, "I tried to get away every day, but could not, so I lived on the flesh of these men the greater part of the sixty days I was out. Then the snow began to have a crust and I started out up the creek. ..."
His lawyer mounted a spirited defense, including the legal question of whether the state of Colorado could try Al for murder when in 1874 Colorado was not yet a state. But off Packer went to prison for 17 years before The Denver Post began a petition to have him released. In the penitentiary, he made horsehair bridles, one of which I've seen displayed at the Museum of Western Colorado in Grand Junction. He also built elaborate Victorian dollhouses, which I've viewed at the Colorado Historical Society in Denver. Alferd Packer died in 1907, but his misspelled name and his unique reputation lives on. He's evolved from Old West infamy to New West celebrity. 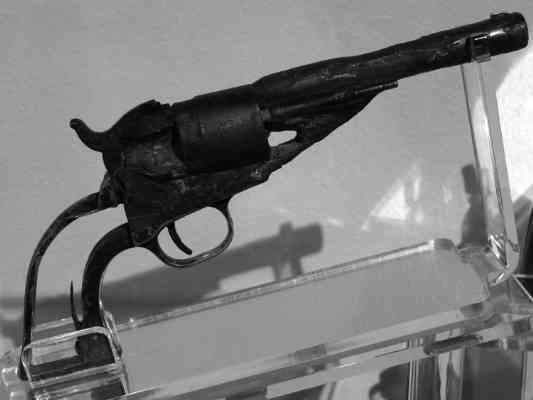 The Museum of Western Colorado contains a rusted 1862 Colt Police Model .32 five-shot revolver with two shots fired. 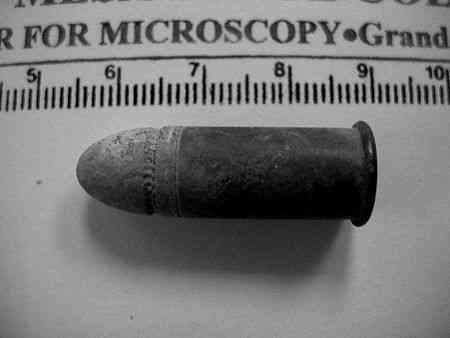 Utilizing high-tech X-ray spectrograph forensic analysis, Mesa State College's electron microscopy facility proved that bullet fragments exhumed from the burial site match lead from the old pistol found in the 1950s on the Cannibal Plateau. Perhaps Packer really did shoot Shannon Bell in self-defense. Museum curator David Bailey believes, "Alferd didn't deny he ate the bodies, but he killed only in self-defense. It's never too late for the truth. He was wrongly convicted." His memory is alive and well in Lake City, where "Al Packer Days," the Packer Burger at the Cannibal Grill, and a large wooden historical marker proclaiming the Alferd Packer Massacre Site are popular attractions. Travel magazines state that at the Hinsdale County Museum, "Colorado's most notorious cannibal, Alferd Packer, is celebrated in this, the largest collection of Packer memorabilia known. You will see skull fragments and clothing buttons from victims, as well as the shackles used when he was imprisoned." Tourists are advised, "Don't miss the actual burial site, just five minutes from town." Students at the University of Colorado in Boulder renamed the student union restaurant the Alferd E. Packer Memorial Grill. In print, there's Alferd Packer's Wilderness Cookbook, and two students at CU's film school, who later created the TV hit South Park, produced "Cannibal! The Musical!" Like Packer's companions, the film was short-lived. Unlike the Old West a century ago, nowadays prospectors rarely trudge through deep snows searching for gold mines. This is the New West, so instead we have backcountry skiers, boarders and friends on snowshoes who head out for deep powder. However you choose to enjoy the high country, take a lesson from the Al Packer story. Keep your gear in good condition, carefully choose your companions and take a few extra granola bars - just in case. gulliford_a@fortlewis.edu. Andrew Gulliford is a professor of Southwest studies and history at Fort Lewis College.